Are you looking for Virtual Assistant Jobs From Home? You’ve come to the right place. Today I will be giving you a list of 11 scam free virtual assistant jobs that I recommend. Most of these are companies that hire you, and you will be assigned to people, but there are a few that just look for VA’s for themselves. Either way, these sites can give you an excellent work at home income just from being a virtual assistant. Most of these sites require you to have at least some offline experience, and some look for online VA experience as well. As A Virtual Assistant, you could be assigned a variety of different tasks. There isn’t an end to what you may be asked to do, but most schedule appointments, update blogs, completing online paperwork, and answering phone calls. Don’t worry I will be covering all the details below about each Virtual Assistant Job. Let’s get started, here are 11 Virtual Assistant Companies. Make sure to check out 30 days or less to VA Success! It’s an excellent course that teaches you how to become a success Virtual Assistant For a limited time, get a copy of their free ebook: 150 Services You Can Sell As a VA! Time ETC is available in the US and UK. They do look for prior experience at least offline, and your starting pay will reflect your experience. You’re paid hourly for your work, and it seems to range from $11-$16 an hour. The application process isn’t too bad, which makes this one of my favorite virtual assistant jobs sites out there. Assistant Match seems to only hire within the US. From what I can tell they pay by the hour at $10-$25 based on experience and type of work. This site is a little different, where it’s a job board for virtual assistants. After signing up, you will get emails when new jobs become available. It also looks like they have different types of jobs like general assistance and specialty jobs like graphic design and website content that pay higher per hour! Va For Experts is a site that does require some experience to apply to get a job. From what I can see it’s pretty flexible where you can choose when and where you would like to work. VA’s seem to be making $10-$15 based on experience and time with the client. Some clients will require certain skills and a time frame that you need to work, but that all depends on the customer. As the name suggests Worldwide 101 does hire in most north & south American countries, UK, and some countries in Asia. Based on your fluent language and experience level you will be matched with a client. You will be paid hourly and from what I can see pay is between $15-$20 an hour. This doesn’t seem to be that flexible on hours because most clients need you during certain hours and time zones can cause an issue. This is a little bit different company, where you will only be making phone calls for a company. You’ll be contacting people looking to sell their homes. From what I can see you will just be gathering information and not selling anything. Pay seems to be $10 to start, and they hire within the US only. Paragon Planners is a company that hires VA’s to do phone work. No selling, but communication among clients. This is not a flexible schedule, the company has time slots that they would like you to work, but pay seems to be around $12 to start. The application process starts by sending over your resume and then they will contact you if interested. They are not hiring at all times. Life Bushido is probably the most flexible site on this list. You must work 5 hours a week with a maximum of 25. You will be completing normal VA tasks like calling, scheduling appointments, managing websites, based on the client’s needs. It looks like they pay around $10 an hour and hires worldwide. Office 88 is a VA company that hires people in 4 categories: Secretary, Translator/Proof Reader, Graphic Design, and Web Design. When you apply, you will be choosing to apply for one of those four positions. From what I can see employees are making $10-$15 an hour with this company. Is pretty strict on when you must work. You must put in at least 4 hours a day between 9-5. From what I can see they do hire all over the world, but you must be fluent in spoken and written English. Pay starts out around $10 an hour, and this company looks to be centered around website owner clients. Fancy Hands is a bit different from the other companies on this list. Instead of being paid by the hour you will be paid by task, $1-$5 per depending on length and difficulty. From what I can see there are some mix feelings about this site, but overall most are happy. You will be completing tasks such as phone calls and gathering information off the internet. Zirtual seems to hire people part time with any experience level. The schedule is very flexible, and you can choose how many hours you work a week. The work seems to be scheduling appointments and gathering information for clients. Pay seems to range right around $15 and not any real bad complaints about the company. There you have it. 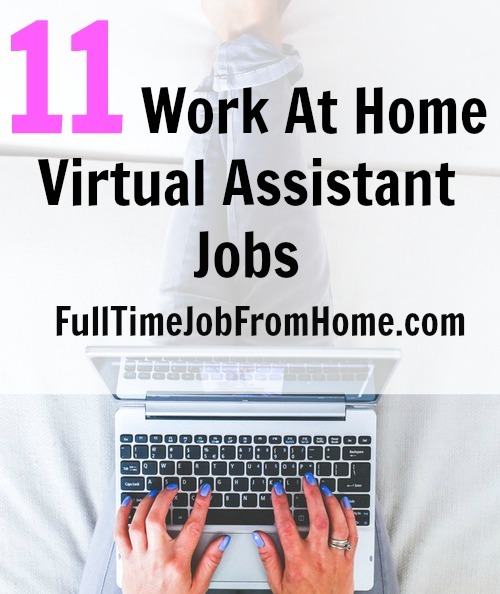 11 different virtual assistant jobs for you to apply to. All of the companies above are very reputable; it’s just about finding the best one that suits your needs. Personally, I’m a fan of Zirtual and Time ETC, but all are great options. New to working as a VA? Make sure to check out the 30 days or less to VA Success. It’s an awesome course that will teach you everything you need to know! For a limited time, get a copy of their free ebook: 150 Services You Can Sell As a VA! You will need some experience for most of these sites, so if you don’t have it, you probably want to check out some of my other work from home jobs here. Hopefully, you enjoyed this list of VA jobs! If you didn’t find what you’re looking for you may be more interested in my #1 recommendation. Either way, if you’ve worked for any of these virtual assistant sites in the past, please let me know in the comments below! Team Delegate Review: Virtual Assistant Job Paying Up To $18/HR! 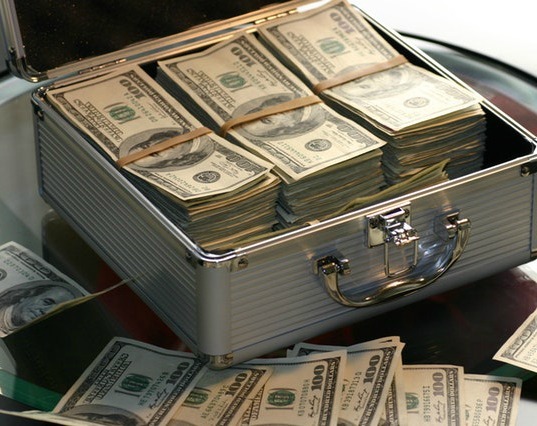 Virtual Gal Friday Review: is Virtual Assisting for Virtual Gal Friday a Scam or Legit? Equivity Review: Is Virtual Assisting for Equivity a Scam?